October 10, 2013 By Tina M 8 Comments This post may contain affiliate links. Read my disclosure policy here. I am a big lover of kid’s toys. Last year I got some cash for my birthday and somehow ended up in the toy department when I went shopping. My husband couldn’t believe I spent my birthday money on a toy for our toddler, but I couldn’t help it. I do however try to avoid having too many toys in our home, or buying toys that my kids will never play with. Our toy rotation helps with keeping interest in their toys, but what really works BEST is advice from other moms. I realize every kid is different, but there are certain toys that are big winners with almost all kids. That’s where I need your help. I want to get my toddler 1 or 2 really fun toys for Christmas this year, and I’m having the hardest time deciding! Do I get her a playhouse? A Train table? A Kitchen? I would absolutely LOVE your advice! Below are some toys I am thinking about. If you currently have one of them, please comment below and let me know if your kids love it or not. I’d also love suggestions that are not on here. 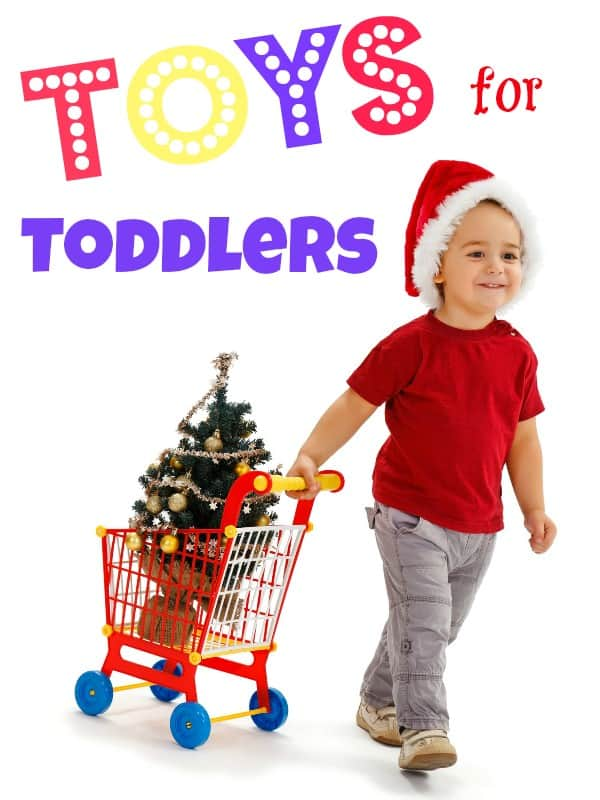 Finding the right toys for toddlers can be frustrating, but hopefully this list can be a win-win for all of us as we share what works best and what doesn’t. I hate spending money on toys that don’t end up being as cool as I thought they would be! Bookmark this page as I will update it with all of your suggestions! These are awesome for toddlers, especially for entertaining in the car (and they help with learning how to count)! My sister-in-law did this with her kids as a family activity and I thought it was such a cute family activity! My friend has this toy and her boys LOVE it! It has 457 reviews on Amazon and only 8 of those reviews are under 4 or 5 stars. I was tending my nieces and nephews one day and noticed that they had this toy. ALL of the kids wanted to play with them at the same time (ranging in ages from 18 months to 9 years old). It appeals to a huge age range because of all the creative possibilities. ANY toy that will entertain kids in that kind of age span is a huge winner for me! Although my 18-month old enjoyed playing with these, they are recommended for age 3 and up. Bristle Blocks are also fun. TOOLS that actually do something! If you’re going to get your toddler some tools, make sure they actually turn on and have a purpose. Kids love to build and take apart and there are some fun tools sets for kids that actually serve a purpose. The one pictured is fun, but the Take Apart series are also really popular and allow kids the experiencing of taking things apart (planes, cars, etc.) with their tools and putting them back together again. I’ve seen these more and more lately and I think my toddler will be at the perfect age to ride one this summer. They are better than bikes with training wheels because they teach kids how to balance appropriately and prepare them for a bigger bike with pedals. I’m not really in to the plastic kitchens that are made my Fisher Price and Little Tikes. I see them at thrift stores all of the time, so this tells me that people end up getting rid of them after purchasing one. KidKraft makes some adorable wooden ones though, and they seem to be higher quality. They also make them in all sorts of cute colors! If we buy a play kitchen this year, I want it to be wood. I also really love this wooden cake set. Perfect alternative to unrealistic barbies, and creepy Bratz dolls! These dolls are so cute and actually resemble little girls! Okay…Here’s where I really need the advice! I want to get the cute train set at IKEA, but should I get a train table? The one by Kidkraft doubles as a train table and lego table, but will she use her legos on it? Or should I just stick with a train table? Or should I just let her play with her trains on the ground? I’ve also looked at car tracks or a car mat. Does anyone have either of these? Last year my friend was in a debate because her little boy was in to imaginitive play, but a doll house seemed to “girly.” Instead, she bought him this Everyday Heroes Play set which I thought was ADORABLE. A play castle would be another fun option for boys. Perfect for little toddlers learning how to work buttons, zippers, snaps, laces and more! There is also a cat version of this toy. I’m actually decided between this and a Fur Real Pet for my toddler’s birthday (next week). Does anyone own a Fur Real Pet and did your toddler play with it? My niece loves her backpack so much that my brother and sister-in-law stopped carrying around a diaper bag for her. They just threw a diaper and wipes in her backpack and she carried it everywhere! My toddler is very into buckles and zippers right now. She walks around the house buckling and unbuckling the baby carseat, backpacks, and anything else she can find. We wanted to get her one of these buckle toys for her birthday, but it wouldn’t have shipped in time, so now it’s on the Christmas list! I’d really LOVE some advice on these as well. I thought about getting one a year ago, but there were so many versions that I couldn’t decide on one. Does anyone have this activity cart by Melissa and Doug? It’s been my favorite so far, but I’m wondering if the chalk part will be annoying (I’m kind of a chalk hater). I love the magnet part though! This one is just cute. I’m such a sucker for make-believe play. My daughter appreciate toys that mimic the real thing, and she could make me smoothies all day with this thing. She has the blender, mixer and toaster. She loves the blender, she’s not quite old enough to work the mixer, and toaster rarely gets played with. I’m a big fan of play houses that can be built, taken apart & stored away. 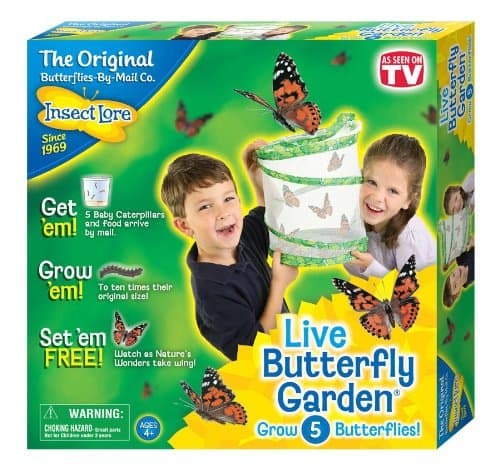 My toddler &I both enjoy this toy because it can be set up indoors, outdoors, and even with water! You can also use other Mega Blok sets with it and be creative in building. As a parent, I love that it can be stored away in between uses so that it remains exciting. This one would make a fun busy bag. I might split this one with my sister so we can do that. What toys are big winners for your toddlers? What toy do you think my toddler will enjoy most this year (she is 2)? I have been in the same boat! I have been at a stalemate at what to suggest family to get our 2 year old twin girls for Christmas. This created a lot of inspiration. Thanks!! We bought that kitchen for our two year old on her birthday. She will be three in two months and she still LOVES to play with it. The play kitchen is a great option! I am a daycare provider and my kids could pretend cook all day. My son got melissa and doug cutting food last year and played with it for 30 minutes straight. He had just turned 2 then and he still plays with it. We also have a train set, got it on Ebay in great shape, it was way cheaper than buying new. I don’t have room for a train table so we have a a car mat that we roll out. If you plan to keep it set up you will probably want the table, otherwise the floor works for us. Great post! It helped me with some great ideas for my 2 year old! Stocking stuff post was also great! Thanks Melissa, I’m glad it gave you some ideas! I know this is an older post, but I got my girl the Step 2 Roller Coaster and she LOVES it (I found it at Sam’s Club for about $70). Everyone one who comes to play gets such a kick out of it. I love the fact that it sets up and comes apart so easily. Before we had a playroom it sat in the living room. I pulled it apart every night an stored it stacked next to a wall. It didn’t take up too much space.